Stanley Martin Lieber, known as Stan Lee, was an American publisher, editor and comic-book writer from New York. He initially gained recognition when he would evolve to write Marvel Comics in the 60’s. Stan Lee’s net worth was estimated to be roughly $50 million at his time of death on November 12th, 2018, He was 95 years old. Stan Lee was born in Manhattan, New York on the 28th of December, 1922, and his parents are Romanian and Jewish. His father Jack Lieber worked as a dress cutter. Lee has one younger brother named Larry Lieber. Errol Flynn was a big inspiration for him growing up and was the reason why he started to get interests in movies and writing. Lee went to DeWitt Clinton High School during his teenage years. In 1939 he went on to be hired as an office assistant at Timely Comics where he changed his last name Lieber to “Lee”. He also served in the army during World War 2. In the early 60’s, he started to create the Marvel Comics. His wife Joan was a big influence on him when he started to write his comics, in 1961, he released Fantastic Four. Following the big success of Fantastic Four, he created several new characters like Spider-Man, The Hulk, The X-Men and Doctor Strange. Marvel Comics became a highly popular franchise and he was promoted to be a publisher and director in 1972. Lee moved to the West Coast to be more involved in Marvel’s films. Lee becomes involved in a multimedia project while also serving as an ambassador for Marvel. In 2012 he co-wrote Romeo and Juliet which landed on The New York Times best seller’s list; and he also launched a YouTube Channel as Stan Lee’s World of Heroes, that featured sci-fi, comedy, and comics. After losing his wife Joan in 2017, he went back to continue his work with Marvel. He was ready to resume with the Marvel’s last feature, Black Panther. Lee has collaborated with some of the most talented comic writers and actors around the world, like Ryan Renolds, Robert Downey Jr, Scarlett Johansson, Chris Evans and Tom Hiddleston and more. Since then, Lee has released multiple comics and starred in several movies. 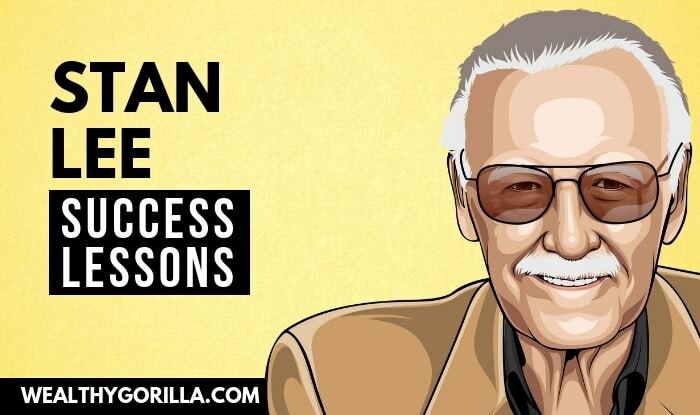 He has sold millions of copies of his Marvel comics and built a net worth that would surprise most people. Stan Lee was one of the most famous comics writers in the world. On November 12th, 2018, Stan Lee was rushed to hospital, and he passed away later that day. Before he passed away, Stan Lee’s net worth was $50 million. View our larger collection of the best Stan Lee quotes! The Fantastic Four is more than a superhero team up, it’s also a family. How powerful you become, if you can’t share your success with people who understand you and accept you as you really are, you’re not successful at all. Power is not just strength, but rather the power to influence and it’s a power we all have inside us. We simply have to believe that we the ability to influence and promote change to do so. The X-Men knew that they were different from other “normal” humans, but they felt an obligation to use their mutant abilities for social gains. The mutant knew that they were feared by the people, but they continued to do what they thought was right. Simply, people fear what they don’t understand. Lee was one of the most famous comics writers and actors in the industry, especially in the Marvels collection of comics and movies that is famous worldwide. He will be remembered as an icon of the comic book industry. Stan Lee’s net worth was estimated to be $50 million, and he will forever remain as the genius behind the Marvel franchise. 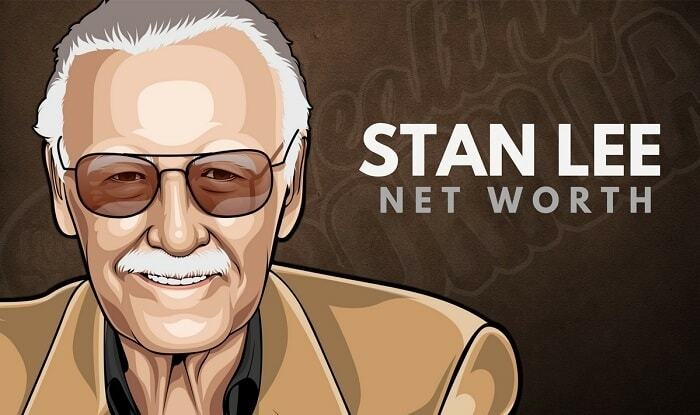 What do you think about Stan Lee’s net worth? Leave a comment below. Amazing Dan when you think of the profound impact Marvel movies have had on humanity and the guy was embarrassed way back in the day. All these life-changing people and creations often spawn from such humble beginnings, highly doubted. Gotta get through the fear to become successful and to also enjoy the ride.